Recently, many people have asked me what I do to tame my natural curls. In the past, I rarely ever wore my hair curly because I always felt that it was so big and by the end of the day it was just unmanageable. Until recently, I came across an AMAZING product that I use religiously. 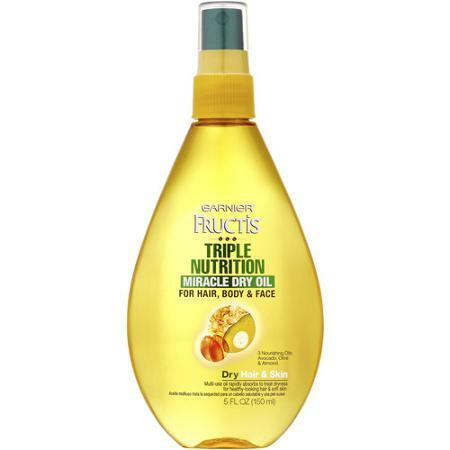 Garnier Fructis triple Nutrition oil, and it really isn’t lying when it says ” miracle dry oil” . If I’m being completely honest… I need about two inches off of the bottom of my hair, but when I apply this oil you can’t even tell. 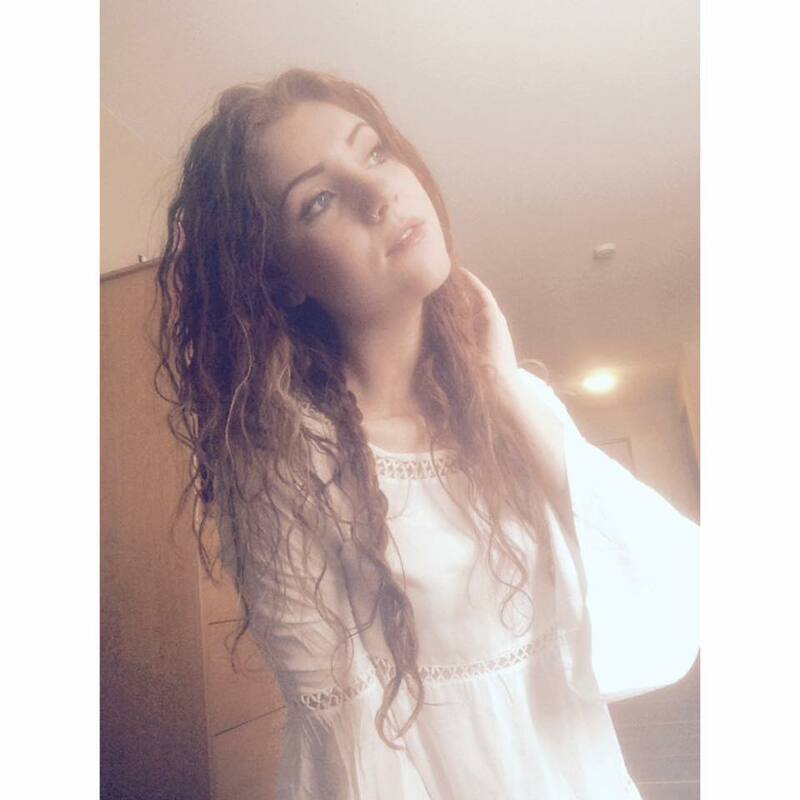 In the past, I would put the crappiest products in my hair to try and tame it. Such as – gel, mousse, and hairspray. If anything those are the WORST products that you could use and at the end of the day they just dry and damage your hair more by causing more breakage and split ends. With this miracle product, I hardly have to apply anything else! I wash my hair, and put it in a towel for about 5 minutes so that it’s not soaking wet, and then i comb it through with a wide tooth comb, section it off from the top of my ears and apply a palm full of leave- in conditioner throughout and then apply the oil. However, I spray the oil into my hands first, and then apply starting at the roots. You have to be careful with this product if you don’t have a lot of frizz and especially around the roots of your hair because a little bit of this goes a long way, but if you’re scrunching it, then it’s easier to get away with because it just looks like luscious locks. My hair is extremely thick and coarse so it is perfect for me because I need all the moisture/ shininess that I can get. If you’re just curling or straightening your hair, I would only recommend spraying twice into the palm of your hands and running it through the hair starting from your ear and working your way down. If you have natural curls this is truly a life saver. I put an unforgivable amount of heat on my hair every week and was so insecure about my frizzy nest in the past, but now I hardly ever use heat because I love how much healthier my hair looks, and I can also tell that using less heat has allowed my hair to grow quicker! So what are you waiting for ? If you have any further questions about the products that I use on my hair, feel free to email me or comment below!